Innovation is one of the ASEAN’s Achilles heels with Thailand being no exception (although ranking third in an ASEAN comparison after Singapore and Malaysia). During the last 30 years, Thailand’s economy has changed dramatically: from exporting primarily raw commodities such as rice and rubber to becoming one of the world’s largest exporters of hard disk drives, integrated circuit packages, cars, and auto parts. Electrical, electronic and automotive products now comprise about 40% of Thailand’s exports. While facing increasing competition against lower cost locations in less skill-intensive production, Thailand’s businesses lack the technological know-how and the human capabilities of moving up the value-chain into more sophisticated activities. 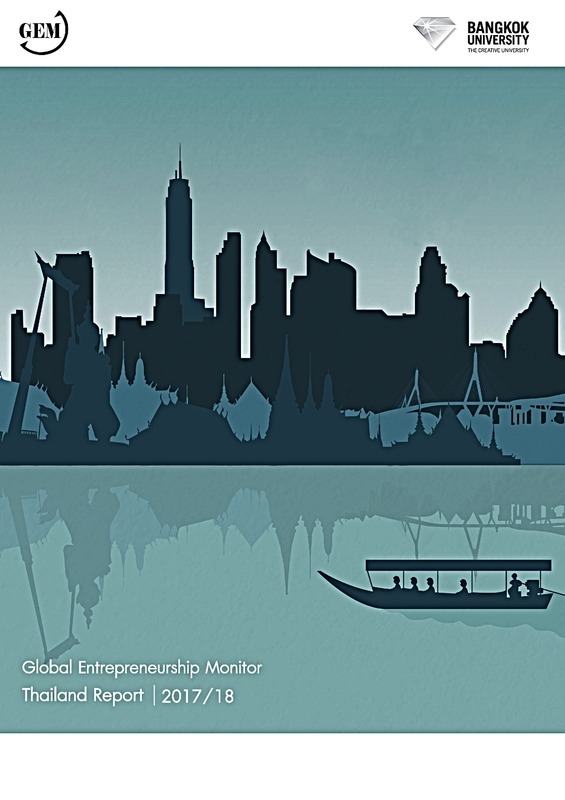 Both the overall weakness of Thai innovation systems as the lack of technological capacities in SMEs to absorb innovation from external sources and innovate incrementally hinders innovation and productivity increases. Integration of the ASEAN Economic Community at the end of 2015 will be a great opportunity for foreign, especially Japanese, investors to expand their already existing investments in the automotive sector in Thailand. The Office of SME Promotion (OSMEP) plays an important role in SME and entrepreneurship policy co-ordination and contributes to entrepreneurial development, as central planning arm, and in operational implementation of SME and entrepreneurship policies. In OSMEP’s SME Promotion Master Plan for innovative SMEs, objectives include the expansion of the technology base and an increasing R&D intensity. Nevertheless, OSMEP’s ability, as a government agency, to actually foster innovative entrepreneurship is limited. Since the overall ranking of the ASEAN member countries is more moderate (with the exception of Singapore), the ASEAN Committee on Science and Technology emphasises an ASEAN innovation for global markets by utilizing ASEAN indigenous capabilities in products and services. Realising, that previous practices of the ASEAN scientific community meant that science and technology activities were mostly confined to academic domains, the Krabi Initiative in Thailand (December 2010 ff.) recommends a paradigm shift by various measures to bring the benefits of science to the ASEAN citizens. These include mainstreaming science, technology and innovation by creating innovative ecosystems at all levels and youth-focused innovation by implementing Young ASEAN Science, Technology and Innovation Awards and seed funding for youth-focused innovations. How does the Thai Government Support Innovation? 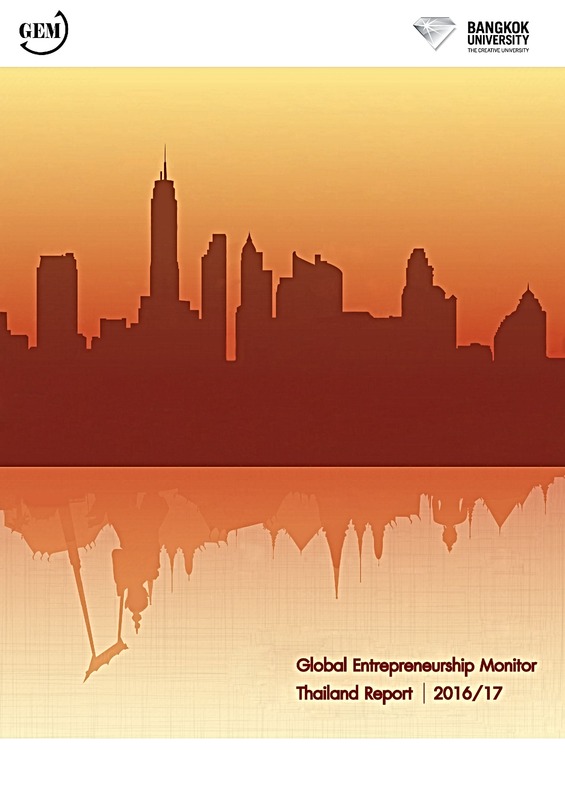 The GEM Thailand survey regularly reveals that R&D transfer is one of the main constraints for entrepreneurship in Thailand, with few linkages between university research and enterprises. Since 2001, an industrial cluster concept has become the main focus of industrial and innovation policies on all levels. Building on the success of industry clusters, the current government is trying to stimulate and invest in kick-starting Thailand’s R&D transfer. In September 2015, the Thai Board of Investment (BOI) created “super clusters” including clusters of businesses using advanced technology, and future industries, e.g. Automotive and Parts Cluster, Electrical Appliances, Electronics and Telecommunication Equipment Cluster, Eco-friendly Petrochemicals and Chemicals Cluster, Digital-based Cluster, Food Innopolis and Medical Hub. Increasingly, government agencies try to foster innovativeness, both in startups and in established businesses. A combination of tax and other incentives aims to attract foreign researchers and to stimulate an increase in collaborative research in industry clusters, between large corporations, SMEs and researchers. Industries in super clusters will be entitled to full corporate income tax exemption for eight years and a 50% reduction for five years after that. One important objective of the implementation of the super clusters is to broaden the entrepreneurial value chains of enterprises and thus leading to more employment options at a higher skill level and to a higher overall prosperity in Thailand. To enhance science, technology, R&D and innovation utilisation, the Ministry of Science and Technology grants corporate income tax exemption for R&D technology and innovation expenditures of 300% per project for companies and accelerates the corporate and personal income tax exemption for the contribution to research funds. However, not only the Thai government supports innovativeness. To support innovative start-ups, Thailand-based electronics-part maker Delta Electronics, in collaboration with The Department of Industrial Promotion (DIP), has launched an “angel fund” in early 2016, providing a 70% support of the targeted investment of a maximum of 1 million THB (approx. US$28,000 ) to entrepreneurs with business ideas related to innovation. The programme of initially 4 million THB (approx. US$112,000) for 2016 currently targets 50 candidates from public as well as from university projects and aims to develop them into successful and innovative new entrepreneurs. Enthusiasm for entrepreneurship is well represented in Thailand, being now home to a booming ecosystem supporting and revolving around start-ups and entrepreneurs in the tech sector as well as in several other industries. In 2016, Thailand’s policies to promote the tech start-up industry also aim to build and to promote the local tech ecosystem which consists of various stakeholders: start-ups in various stages and an interacting system of organisations – universities, funding organisations and support organisations such as incubators, accelerators and co-working spaces. The goal is to increase the current number of 2,000 local tech start-ups to 10,000 by the end of this year. To successfully create a digital economy, the main focus is on the four aspects digital commerce, digital entrepreneur, digital innovation and digital content. A 10-year income tax waiver is already in place for those venture capital and private equity firms who invest in technology and innovation in the ten core industries: next-gen cars; smart-electronics; affluent, medical and wellness tourism; agriculture and biotechnology; food industry; robotics; logistics and aviation; biofuels and biochemical; digital; and medical services. The digital economy roadmap plans to turn Phuket, the tourism hotspot in South Thailand, into the first smart city in Thailand within the next three years. Besides an innovation park located at a university and in cooperation with an infrastructure provider, training courses will be part of the digital entrepreneurship programme to develop entrepreneurial skills in Thailand with its often non-conducive culture towards hard work. “Phuket smart city” refers to the innovative use of digital technology to drive urban infrastructure and develop a smart -living community focusing on safety in land and marine areas. Matching between start-ups and investors and international research grants to attract innovative product generators are part of the roadmap. Besides tech start-ups, other strategic areas to focus on are to promote technology use to existing SMEs and to develop local software. The Software Industry Promotion Agency (SIPA) is funding tech start-up clubs at universities throughout Thailand, providing programming and entrepreneurship education to support Thailand’s start-up industry. In addition, a series of start-up events, such as “Start-up Thailand 2016”, held in June 2016, seek to especially promote tech-based start-ups to help drive the economy. It is apparent that the current efforts bring together various stakeholders to ensure that the policies and action plans will be a good fit with the needs of the industry. In Thailand, 80% of all startups do not survive; therefore it is the aim to create a strong local start-up ecosystem to make local entrepreneurs more competitive, including on a global scale. 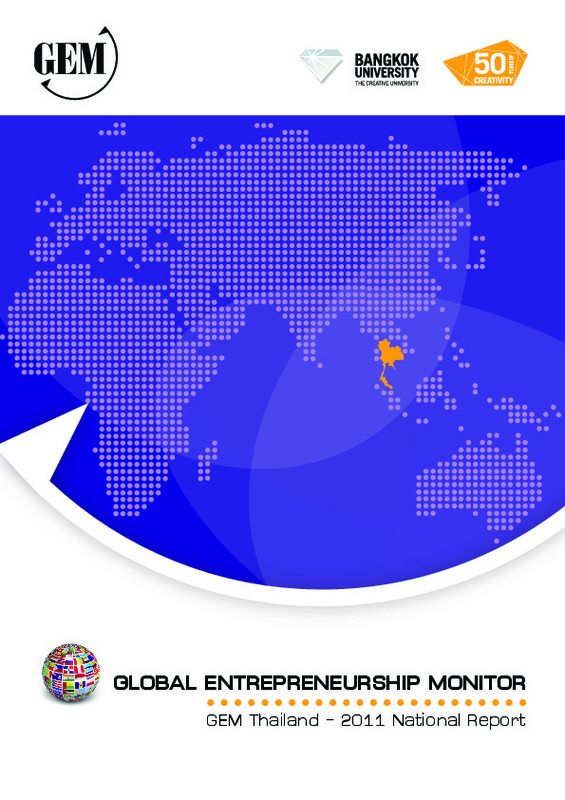 The GEM Thailand Report 2017/18 includes a special publication featuring women entrepreneurship in Thailand: "The importance of perceptions in promoting women's entrepreneurship in Thailand", published by International Labour Organization (ILO) Asia-Pacific, author Ulrike Guelich.